The RCI® Affiliate App for iPad® is a versatile mobile resource supporting RCI affiliates with multi-faceted tools to help enhance their sales process. 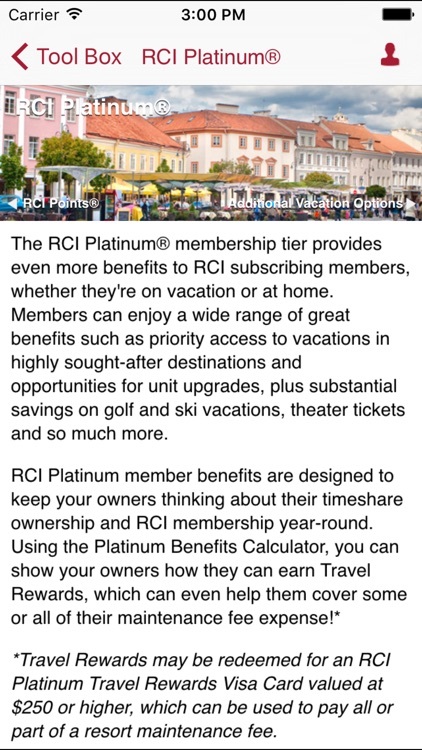 This application houses effective point-of-sale tools like ROI calculators, a live map showing RCI vacation exchange trends, and interactive presentations highlighting RCI subscribing member benefits programs and services. 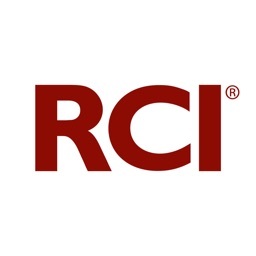 Users have quick and easy access to details on RCI subscribing member benefits, sales materials, and presentations to help explain the RCI exchange program to owners and prospective buyers. Users can access high-definition videos, highlight RCI affiliated resorts around the world, and more! An in-app tutorial guides users through the application navigation to aid in a seamless first experience. This feature can be switched on or off in Settings. User Profiles and the ability to save favorite features and create playlists give users the ability to tailor their experience to best suit their sales needs. The Tool Box is the central point for resort developers and sales representatives, filled with tools created to assist at point-of-sale. Additionally, this section allows users to launch the popular Vacation Trends site to view real-time vacation bookings from RCI members that have taken place within the last 24 hour window. 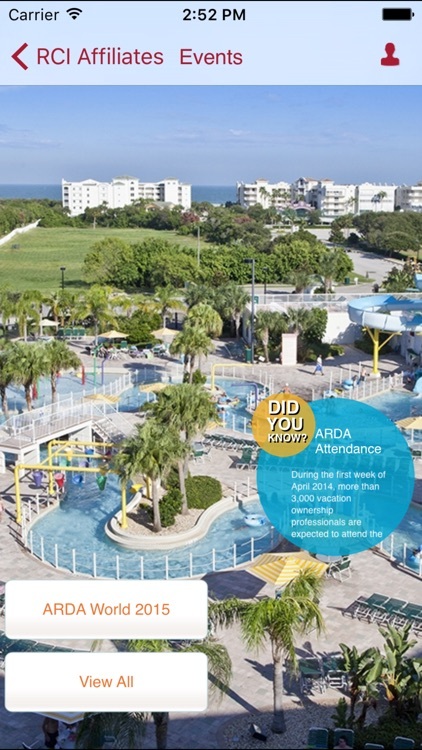 The RCI TV feature allows users to view location specific videos, each highlighting the activities and characteristics unique to that vacation destination. 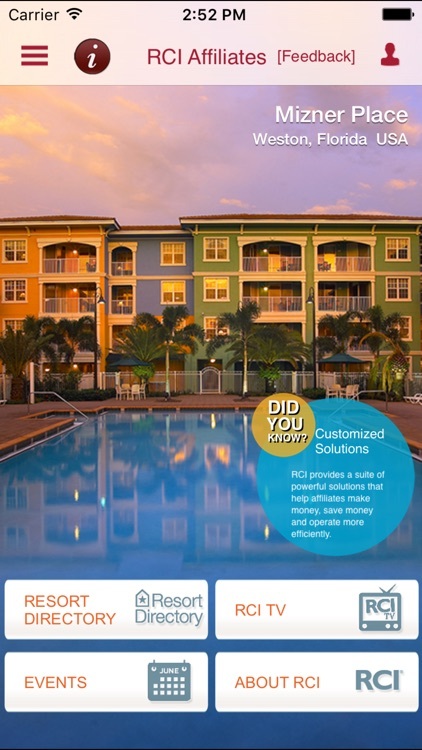 The RCI Affiliated Resort Directory feature allows users to search and browse RCI Affiliated Resorts across the world. Destinations can be saved to favorites for a customizable experience. 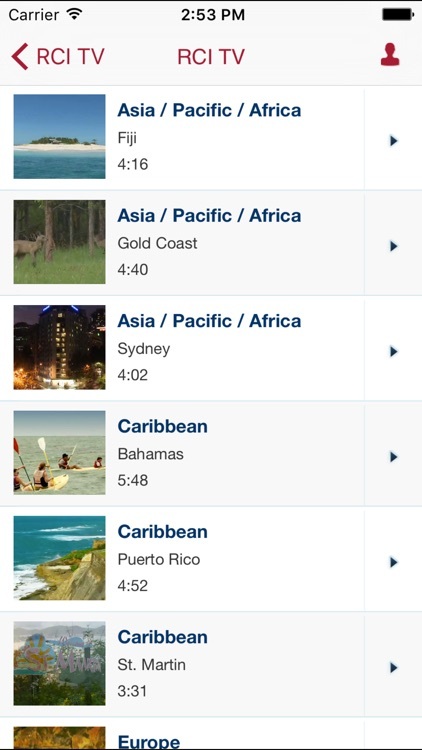 The RCI® TV feature available in the application allows users to view and share location specific videos, each highlighting the activities and characteristics unique to that vacation destination. 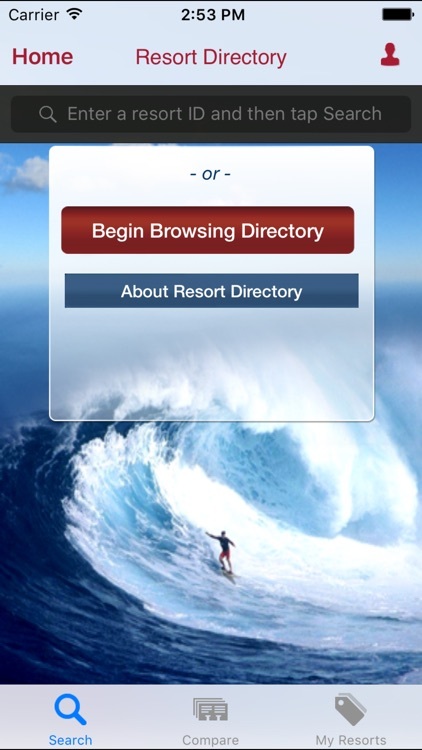 The RCI® Affiliated Resort Directory feature allows users to search or browse RCI® Affiliated Resorts across the world. 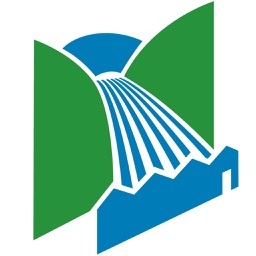 Users can not only view resort information and amenities, but also view available resort videos and photos, and easily compare multiple resorts at the same time. 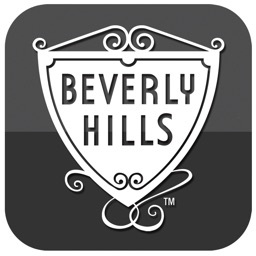 Further, they can save resorts into a local "My Resorts" list and share resort information with friends via email. 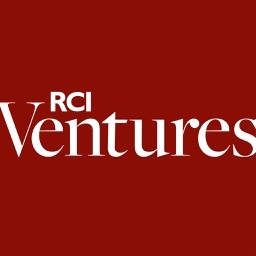 Endless Vacations® and Ventures® magazines are now apps for the iPad®! 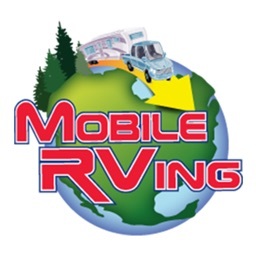 Use the link in the Affiliate App to connect to the App Store and download the Endless Vacations and Ventures magazine apps to enjoy videos, photo galleries, panoramas, interactive maps, and much more! 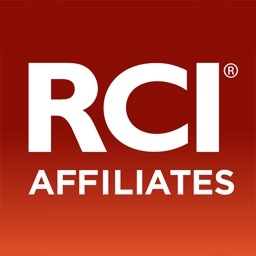 The RCI® Affiliate tools section of the application allows users to access RCIAffiliates.com via the iPhone to enjoy a centralized resource for affiliate-related news and information. Additionally, users can connect to the RCI Marketplace to enjoy the myriad benefits of their services. The Product Videos section allows users to enjoy a selection of RCI's beautifully produced promotional videos, as well as the ability to log into the RCI Weeks and RCI Points areas of RCI.com so they can be shown to prospective buyers or the current owners of your resort. Additionally, the section allows you to launch the popular Vacation Trends site to view real-time vacation bookings from RCI members, as they occur!